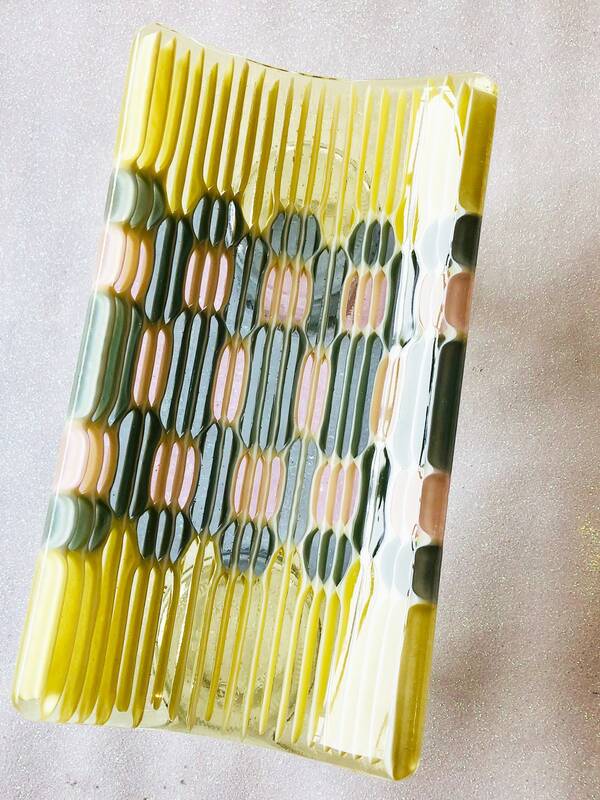 Honeycomb Small Fused Glass Tray in Soft Yellow, Blue grey and Erbium Pink. 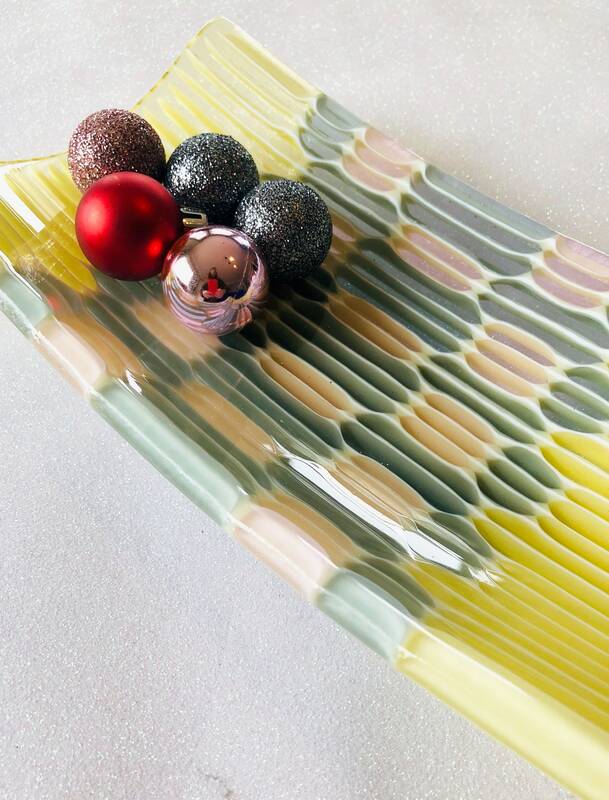 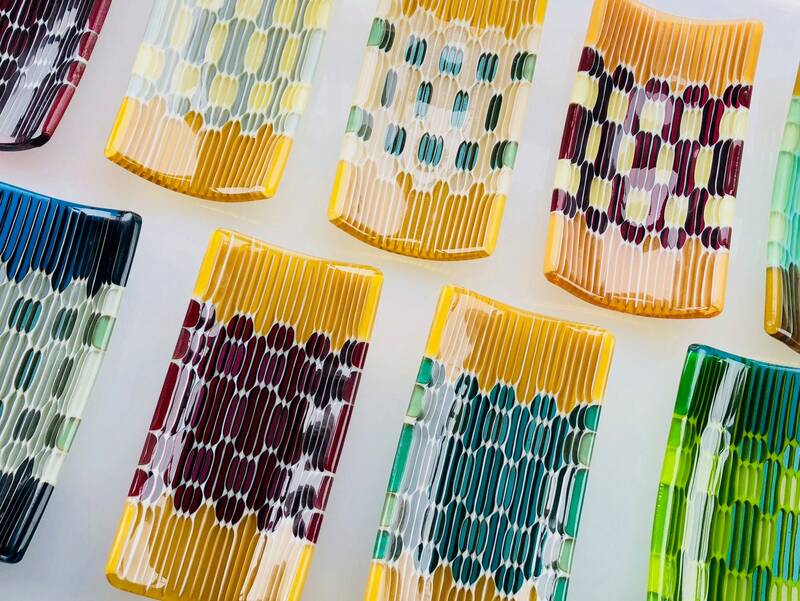 The lovely green and amber palette of this fused glass rectangle tray will brighten your dinner table or your kitchen counter top. 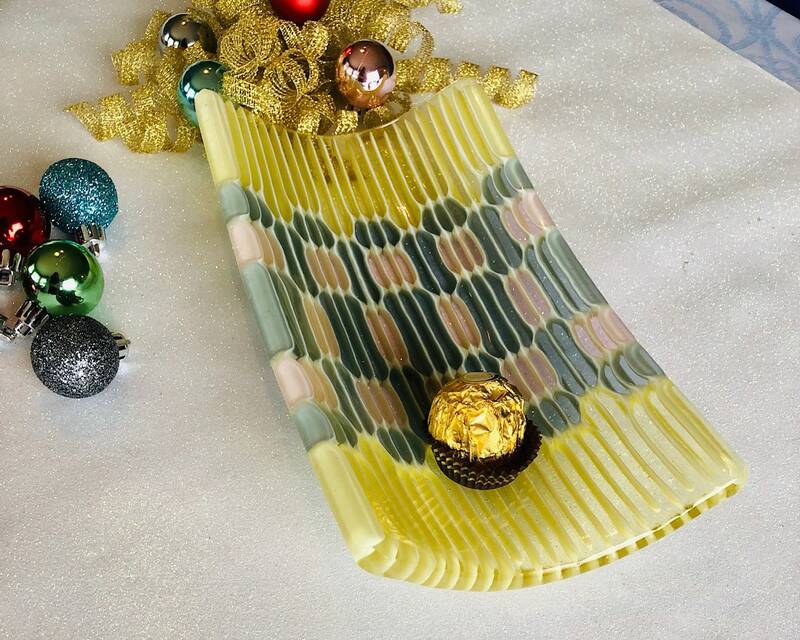 Use it for dessert, cheese , finger foods, appetizers, small salads, fruit salads.